“The [congressional] investigation concludes that the risks associated with Huawei’s and ZTE’s provision of [telecommunications] equipment to U.S. critical infrastructure could undermine core U.S. national-security interests,” the U.S. House Intelligence Committee stated in 2012. The unclassified parts of the “Investigative Report on the U.S. National Security Issues Posed by Chinese Telecommunications Companies Huawei and ZTE,” which didn’t mince words, were accompanied by a classified section, which wasn’t publicly disclosed. Based on this report and similar intelligence, Huawei and ZTE telecom equipment can do limited business in the United States. And the U.S. military and government recently banned use of Huawei and ZTE telecom devices. Fast-forward more than six years, and 5G, or 5th generation wireless communication, has reached the point of determining which core technologies will be used. Suddenly, decisions about which companies will be picked are upon us. And the stakes could hardly be higher — for the companies and for our national (and American citizens’) security. The two businesses in the ring, Qualcomm and Huawei, each find themselves in a tough fight to dominate the IP-based 5G technology on which countless devices—from automobiles to mobile phones to who-knows-what—will interoperate. The 5G platform will empower the Internet of Things, artificial intelligence writ large and more—a technological advance with tremendous potential as well as tremendous risk exposure to spies, hackers and such. Both companies face hurdles from the U.S. government. One makes sense. The other makes no sense. On one hand, Huawei justifiably is under heightened scrutiny, not only by Uncle Sam but by other countries, particularly their intelligence and security communities. The mounting underlines and exclamation marks warning against Huawei include U.S. criminal charges against the Chinese firm of lying and conniving to end-run Iran sanctions and of stealing T-Mobile’s intellectual property. T-Mobile proved in a civil case that Huawei personnel stole proprietary information and an arm from a robot called “Tappy,” used to test cell phones’ durability. The U.S. says Huawei has paid its workers bonuses for stolen trade secrets. Earlier Huawei ripoffs of U.S. technology and IP include copying Cisco’s router design, its router software and its instruction manual. As the Wall Street Journal put it, “[N]o one believes these incidents are the work of rogue employees.” Nor are they isolated incidences where Huawei has been caught stealing American firms’ IP. Now, Huawei is reaping the whirlwind, just on the cusp of the global leadership spot for 5G’s core—the mother of opportunity for surreptitious activity on China’s behalf, including surveillance, data theft, IP theft and worse directed at other nations’ governments, industrial entities and individuals. Australia has excluded Huawei from its 5G network, on top of a previous ban from the country’s Internet broadband system. New Zealand also has banned Huawei from its 5G. The British and other governments have raised concerns about security vulnerabilities via Huawei. British-based Vodafone, the world’s second largest wireless carrier, has suspended Huawei from its 5G infrastructure in Europe. Vodafone’s biggest European footprints of wireless customers include Britain and Germany. The Czech Republic has stricken Huawei from its taxpayer data networks, acting on the Czech cybersecurity agency’s warning. Another NATO member, Poland, has arrested and charged a Huawei employee and former Polish security official with spying for China in piercing Poland’s military university. Huawei’s steadily emerging track record as a security risk, coupled with the assessments of Western intelligence officials, feeds the growing global concern. If the Chinese government’s and military’s domestic champion runs most of the world’s 5G infrastructure, few question the distinct high probability of nefarious Chinese snooping and stealing of IP, personal information and national secrets. The FTC and ITC: Greater Risks than Huawei? On the other hand, some quarters of the U.S. government are recklessly endangering common patent licensing practices, the incentive to invent, and the ability to keep America’s global lead in wireless R&D—held by Qualcomm, whose 130,000 patents in both standard-essential and nonstandards semiconductors, microchips and other technologies empower both sophisticated commercial and governmental technology, from core telecom platforms to consumer devices such as smartphones. Most alarmingly, the Federal Trade Commission is pursuing a misguided 11th-hour Obama administration antitrust lawsuit against Qualcomm that threatens its licensing practices, which are routine across patent licensing. The “overreaching federal agency,” as dubbed by The Federalist Society, has an astoundingly thin case, but has a sympathetic federal judge in Northern California. Grievously, in the case at hand, the FTC called as its star witness Qualcomm’s chief 5G rival, Huawei. The Communist Chinese star whose 5G technology would put every American’s and our country’s national security at grave risk was the FTC’s star witness against the only hope the United States has of securing dominance in critical 5G technology. Anybody who licenses patents should be worried about an adverse disposition of this disturbing, unjust government action. Aside from a serious blow to Qualcomm and patent licensing, at stake is the FTC’s entrenching of an anti-IP antitrust doctrine. The appropriate view of antitrust, where patents and IP exclusivity are concerned, acknowledges that the innovator bore the risks and sunk the investment costs up front, with no guarantee of any market success. They are exercising the right to exclude that a patent guarantees. That’s how Irwin Jacobs built a 1980s startup into a Fortune 100 R&D- and IP-based world leader in the wireless industry today. This company, so valuable to the interests of the United States as an industrial asset that the Committee on Investment in the United States in its national security recommendations led President Trump to block a hostile takeover bid last year by Broadcom, hasn’t cheated its way to the top like patent-infringing and IP-thieving rivals, restrained competition or harmed consumers as actual antitrust violators do, been subsidized by the government or charged exorbitantly for licenses or chips (the rate to Apple for Qualcomm chips in each $1,000 iPhone is less than the price of a charging cord). The backdrop of the CFIUS-Broadcom episode was the U.S. economic and national security imperative in the race for 5G platform technology dominance. The shadow of Huawei loomed then, as it does today over the FTC trial. If the sole U.S. competitor in a critical part of the 5G contest were gobbled up and its R&D-funded-by-patent-licensing model dismantled, Communist China through its subsidized, military-linked domestic favorite would have won this aspect of the 5G race by default. That shadow is back, with the U.S. government carrying Huawei’s and China’s water. Meanwhile, the International Trade Commission has bought Apple’s and Intel’s propaganda in Qualcomm’s action against importation of patent-infringing iPhones. The ITC’s extraordinary, highly irregular hesitation to issue its only available remedies—exclusion and cease-and-desist orders—with immediate effect directly benefits the patent infringers and, indirectly, China, and harms the American patent owner. The ITC is persisting in and perpetuating an injustice. Qualcomm essentially serves as the R&D arm of the wireless industries, and has since its CDMA revolutionized cellular technology three decades ago. This single firm contributes most of the innovation to 3G, 4G, and now 5G, despite China’s Huawei gaining in standardized technology. Qualcomm’s patented, nonstandard contributions to products like Apple’s iPhone make possible functions like mobile video, App Store operation, GPS navigation and power conservation, for example. Antitrust agencies, such as the FTC, should understand the asymmetry between innovator and implementer, with implementers having the upper hand despite innovators’ exclusive rights. It follows that antitrust agencies should exercise enforcement humility when a party asserts its IP rights. Assistant Attorney General for Antitrust Makan Delrahim has explained that commercializing IP produces dynamic competition. The innovation creates new markets and spurs new competition. Delrahim says, “[C]ompetition and consumers both benefit when inventors have full incentives to exploit their patent rights.” The FTC ignores this truth to innovators’, including Qualcomm’s, peril. The FTC, implementers like Apple and others, the ITC, and Judge Lucy Koh may well inflict more harm to a world-class, U.S.-front-running innovator, gutting routine patent licensing models that finance American R&D in crucial technologies and placing American national and economic security in jeopardy, than the whole Communist Chinese industrial policy and its anticompetitive practices could achieve. James Edwards consults on intellectual property, health care innovation, and regulatory and policy issues. 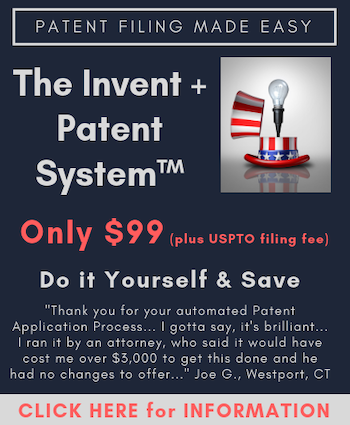 Edwards advises companies, trade associations, and conservative organizations on patent policy and is Co-Director of the Inventor's Project. He participates in the Medical Device Manufacturers Association's Patent Working Group. Edwards mentors start-ups and early-stage companies, largely in the med tech space, and is involved in several IP-centric projects. Edwards served as Legislative Director to Rep. Ed Bryant, R-Tenn., then a member of the U.S. House Judiciary Committee, and handled IP legislative matters. Edwards also worked on the staffs of Rep. John Duncan, R-Tenn., the U.S. Senate Judiciary Committee, and Sen. Strom Thurmond, R-S.C. In addition, he was an association executive at the Healthcare Leadership Council. Edwards earned a Ph.D. at the University of Tennessee, and bachelor's and master's degrees at the University of Georgia.